Mail.ru Group starts a recruitment program for the Mail.ru Group Ambassadors volunteer educational program. Up to 100 best students, graduate students and employees of Russian universities can become official representatives of the IT company at their university. Recruitment as ambassadors started on March 21 as part of the program presentation at the Higher School of Economics. Applications will be accepted until May 1, 2019. Mail.ru Group Ambassadors is a free educational program designed especially for students, graduate students and employees of Russian universities. The main task of the ambassadors is to tell modern students and schoolchildren about the IT industry as a whole, about new technologies, about Mail.ru Group's educational projects, its products, business areas and job prospects in the group of companies. Also, students will conduct educational activities in their university on behalf of the company: organize lectures, webinars, hackathons and other events. In turn, the program gives students the opportunity to develop communication and management skills, take digital skills courses and receive relevant certificates, and test themselves as a representative of a large IT company while studying at university, and implement their own ideas. All participants who have completed the annual program will go to the Moscow office of Mail.ru Group for training, meet with the company's top managers, and some of them will become its employees. Only students, graduate students or employees of Russian courses can take part in the competition for ambassadors. Training in a technical specialty or knowledge of any programming language is not a selection criterion; the competition is available for all specialties. Applications will be accepted on the website ambassador.mail.ru until May 1, 2019. The winners of the selection will be trained in the summer, and from September 1, 2019 will begin their activities in universities. “For seven years, Mail.ru Group has been developing IT education in Russia, but until last year, our educational projects were focused mainly on the training of student developers in Moscow and St. Petersburg. 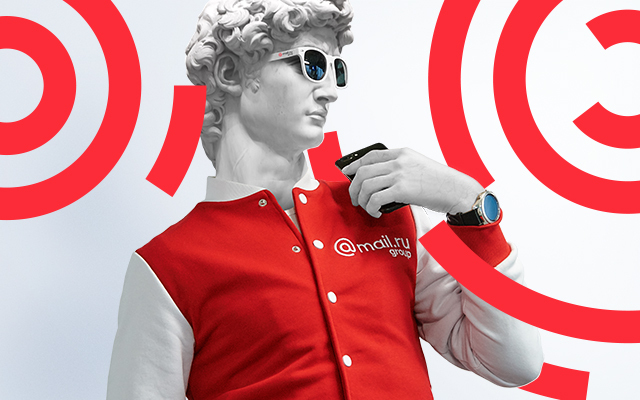 The Mail.ru Group Ambassadors program was created specifically to find sociable and active students from any region of our country, regardless of their specialty, course or age. Through the ambassadors program, we want to form a broad Technology Evangelists community that can promote information technology and digital professions in the university environment. In general, Technology Evangelist is one of the professions that no one teaches, and there is a need for such specialists, so for many who have completed this program there will be a chance to find themselves in this professional field and develop their careers. We are very pleased that more than 50 leading universities of the country have supported us in this initiative, and are especially pleased to start the new recruitment in the HSE, from which there were most applications last year,” said Sergey Mardanov, Director for Universities Liaison at Mail.ru Group. “The Higher School of Economics cooperates actively with companies operating in the digital economy. We jointly hold job fairs and organize student competitions. Industry representatives are involved in vocational training and vocational guidance for HSE students, sharing their experience in the digital areas that are in demand and developing today. Our graduates are valued at Mail.ru Group and successfully work there in various positions from junior employees to top management. We will continue to do everything to ensure that the competence of HSE specialists is a calling card that opens the doors of leading companies,” noted Valeria Kasamara, Vice-Rector of HSE. This is the second recruitment program for the Mail.ru Group Ambassadors. In 2018/19, the IT company was represented by students from 27 leading universities, including HSE, Bauman Moscow State Technical University, MIPT, ITMO University, FEFU, UrFU, NSU, VSU and others. In total, more than 2,500 applications from 149 educational institutions in 42 regions of Russia were submitted for the program.